Vitro Architectural Glass (formerly PPG glass) has a long history of helping architects incorporate many of the principles codified in the LEED rating system. Most recently, we led the development of many of North America’s most specified low-emissivity (low-e) glasses, including Solarban® 90 glass. LEED designates several ways to earn points across nine credit categories. However, the category with the greatest potential to help you earn LEED credits through glass selections is the Energy & Atmosphere (EA) category. This objective seems tailored for the use of energy-efficient solar control or passive low-e glass. 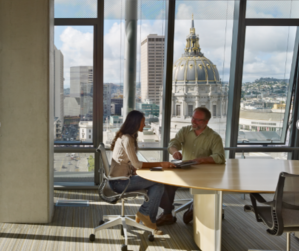 The applicable credit, “Optimize Energy Performance,” offers two paths through which specifiers can leverage Vitro Architectural Glass products and resources. This option requires that you demonstrate a measurable improvement in the building’s energy performance compared to the baseline building performance rating. Criteria for the Prerequisite Minimum Energy Performance must be followed to demonstrate a percentage improvement. Depending on the building type and level of energy savings, between 1 and 20 LEED points can be earned—up to 16 points for schools, up to 20 for healthcare facilities and up to 18 for other building types. These savings projections can include regulated (non-process) energy loads, such as interior lighting, heating and air conditioning (HVAC)—all areas in which low-e glass can make an impact. According to U.S. Department of Energy’s 2012 Buildings Energy Data Book, 61 percent of a building’s total energy use consists of HVAC, ventilation and artificial lighting costs. Solar control low-e glass coatings help reduce energy usage through reduced solar heat gain coefficients (SHGCs) and higher light-to-solar gain (LSG) ratios to optimize light while retaining cooler air—thereby reducing artificial lighting and air conditioning requirements and costs. Passive low-e glass helps reduce heating usage by retaining solar and furnace heat. Their higher SHGCs are designed for passive solar applications, with lower LSG ratios and higher U-Values to retain warmer air. If the requirements outlined in option 1 cannot be met, up to six points can be earned through option 2: ASHRAE Advanced Energy Design Guide, which requires compliance with recommendations and standards outlined in LEED Chapter 4, Design Strategies and Recommendations by Climate Zone, for the appropriate ASHRAE 50% Advanced Energy Design Guide and climate zone. Whether you’re pursuing LEED points through Option 1 or Option 2 (or other LEED categories), Vitro Architectural Glass offers products and online tools to help you estimate, compare and document potential energy savings. 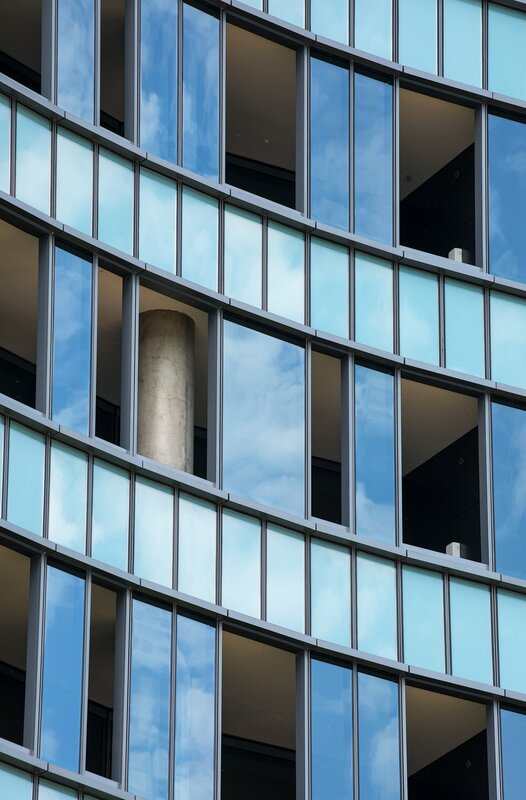 Use Vitro Glass products such as Solarban® solar control low-e and Sungate® passive low-e glasses in combination with clear, ultra-clear and performance-tinted glass to achieve the optimal balance of aesthetics, SHGC, U-Value and VLT. Use critical performance data to select glass products with superior SHGC, U-Values, VLT and other variables. Compare virtual glazing configurationsfrom Vitro Glass and competitive manufacturers. Input color, VLT, SHGC, U-Value, reflectance and other important data to generate glass product comparisons. Model energy costs for a statistically representative 12-story building constructed with user-selected Vitro Glass products. Model the potential impact of glass type, coating types, coating locations, shading patterns and more to minimize the threat of thermal stress breakage.